This summer I had the honor of interning with Diane Kaese (MSHP ’82) and Michael Lynch (professor and occasional lecturer at Columbia) in their two-person office located in the South Street Seaport Historic District. Despite the small size of the firm they handle a rather large and multifarious workload which includes residential, commercial, religious, and institutional projects throughout New York City and State. Due to their size I was able to be involved directly with almost every project that the firm handled over the summer and much responsibility was placed in my hands. It is with the deepest sincerity that I would advise any future students of the Historic Preservation Program with architectural backgrounds to consider Kaese & Lynch for their summer internships as both Michael and Diane were among the most didactic and caring employers I have ever encountered. 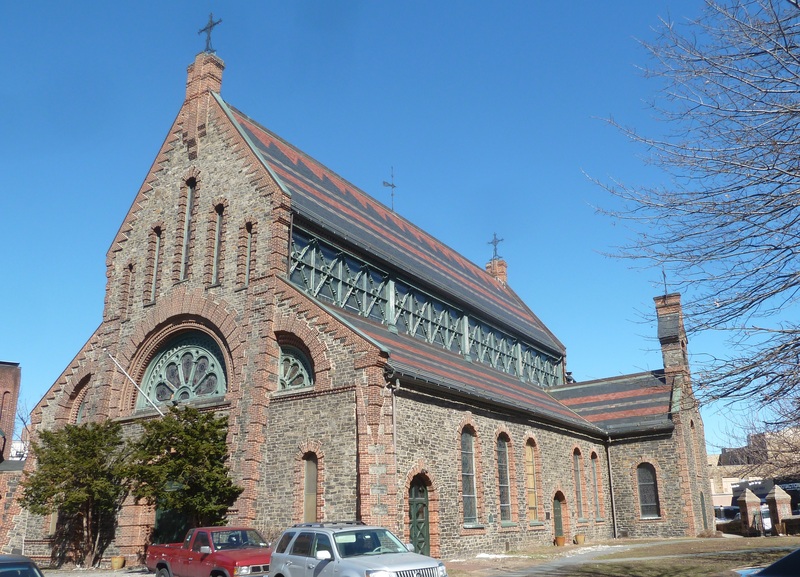 My first project (which I was thrown into my first day) was to conduct and prepare a stained glass assessment and conditions report for the St. John’s Episcopal Church in Yonkers, New York. The first church on the site dated back to 1752 and was constructed in the Georgian style with a latter addition added in 1849. By the 1870s the parish was looking to modernize and contracted the noted architect Edward Tuckermann Potter to remodel the church. While researching the history of the Church it was found that Potter chose to retain the south stone and brick wall of the 1754 Church, (can been seen in the picture above. The wall of the side aisle from the front facade to the transept) after which he based the aesthetics of the new church/addition. What was equally fascinating is that a newspaper article published after the formal opening of the new church heralded Potter’s concern for the “preservation” of the church’s history and original architecture. 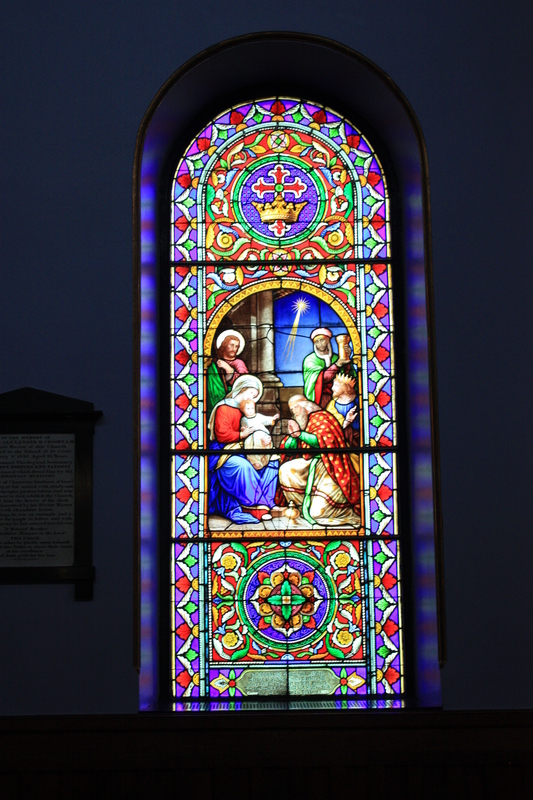 At the time of the its unveiling the church had installed cheaper hand-painted grisaille stained-glass windows which were meant to be and have been replaced with more elaborate memorial stained-glass windows over the years, donated by parishioners. Together with Michael Lynch, he and I examined each stained-glass windows of the church (larger ones required us to use binoculars) to look for discoloration, cracking, missing pieces, lead came deterioration, and deformation. 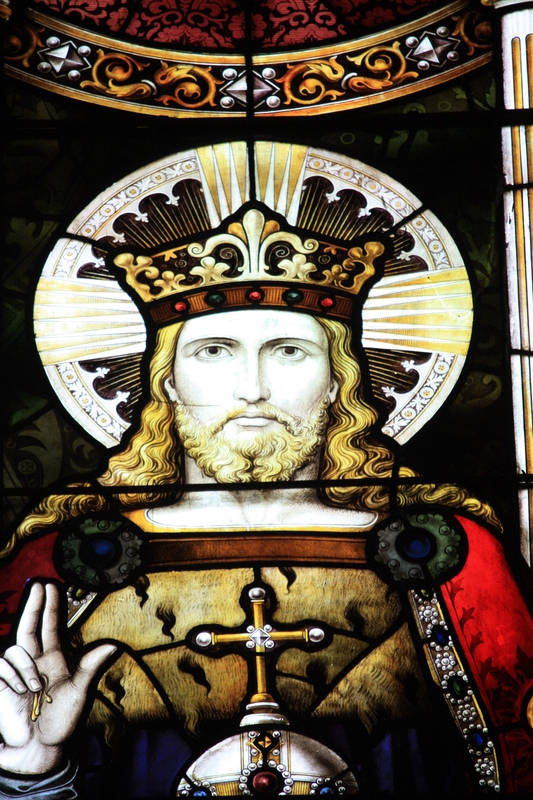 The ultimate product of our work was a condition report prepared for the minister of the church which ranked the stained-glass windows by historical significance, level of artistry, and condition along with a detailed long-term plan and schedule for the their restoration. Kaese & Lynch does much work with religious buildings and my next major project was for the land-marked West End Collegiate Church located on the Upper West Side. 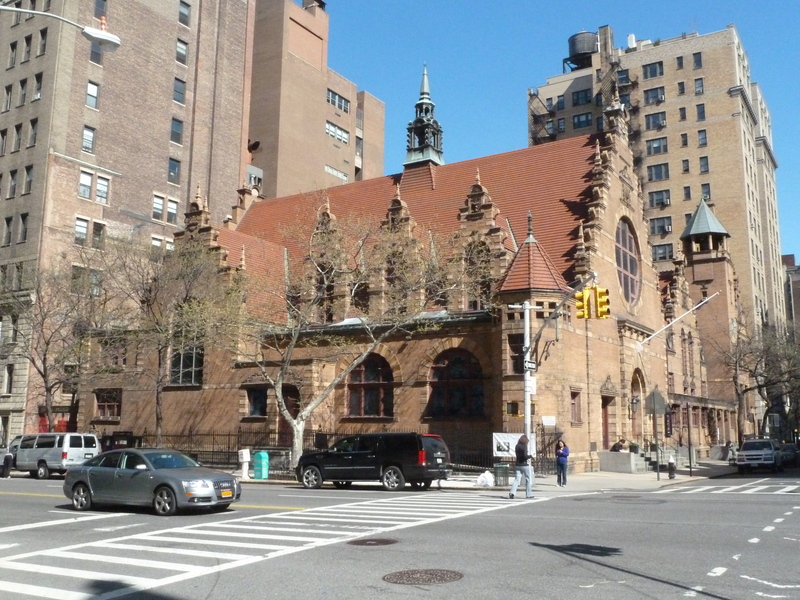 The church, built in 1892 in a Flemish Revival style, was designed by architect Robert W. Gibson, most famous for designing the building that is now Cartier’s New York City branch store. Gibson based the design of the church, particularly the large stepped gable facade, upon the 1606 Vleeshall, or Meat Market, located in Haarlem, The Netherlands as a means of using Dutch architecture as a nexus for the congregation to celebrate their origins in New York when the city was still referred to as New Amsterdam. While the exterior was undergoing major re-pointing and stabilization the church decided it was also time to completely restore any damaged areas of plaster-work within it’s main sanctuary. Starting in late May I started preparing sectional drawings of the church showing the interior of the sanctuary and calling out all the damaged panels of plaster and their associated artistic stenciling. Once these drawings were finished I was tasked with meeting with several contractors who were set to bid on the plaster and stencil restoration. The church had a strict deadline of September 1st as they believed that was when attendance for mass would return to normal as parishioners would all be returning from summer vacations. This strict three month time-frame was of great concern for many contractors and two out-right decided not to submit a bid. Finally, one contractor was able to step up and take on the job, though the work was of course not completed by the first of September. 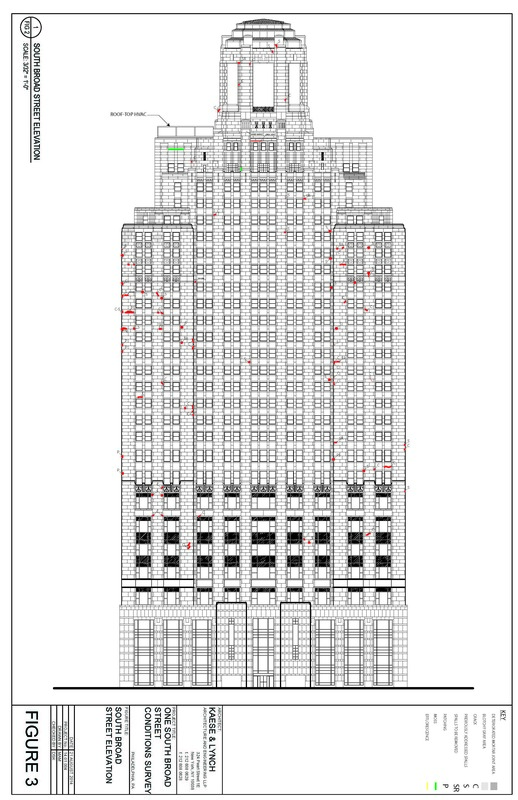 While working on the West End Collegiate Church I also started perhaps my largest (in multiple senses) project for the summer, One South Broad Street in Philadelphia, Pennsylvania. 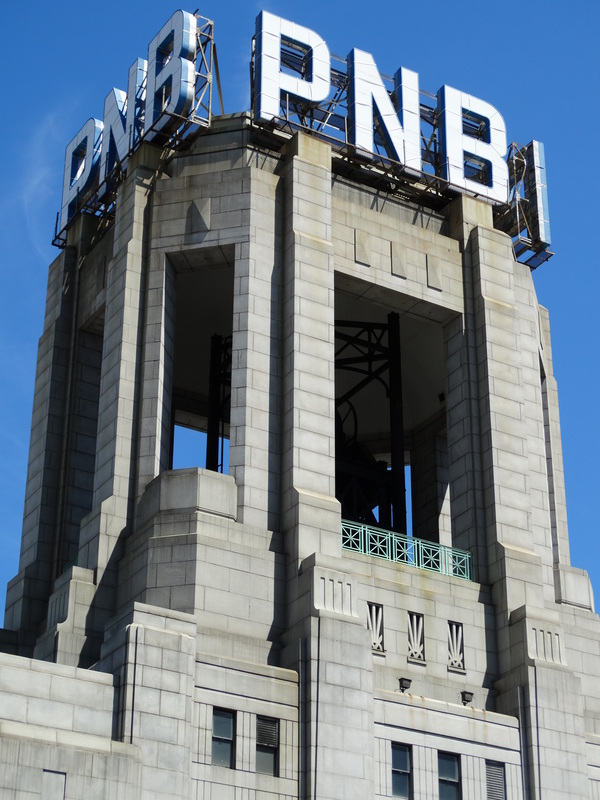 The building, located directly across the street from Philadelphia’s City Hall, is one of the most iconic in the city’s skyline and is well known for its enormous bell tower. Built during the height of the Depression in 1932 by the Wanamaker Department Store Company, the building was intended to house both a grand department store on its lower levels and speculative office space higher up in the building. Having the money and determined that the American economy would improve the Wanamaker Company chose to clad their new 28 story high-rise completely in granite and to not use terracotta or any other imitation materials. 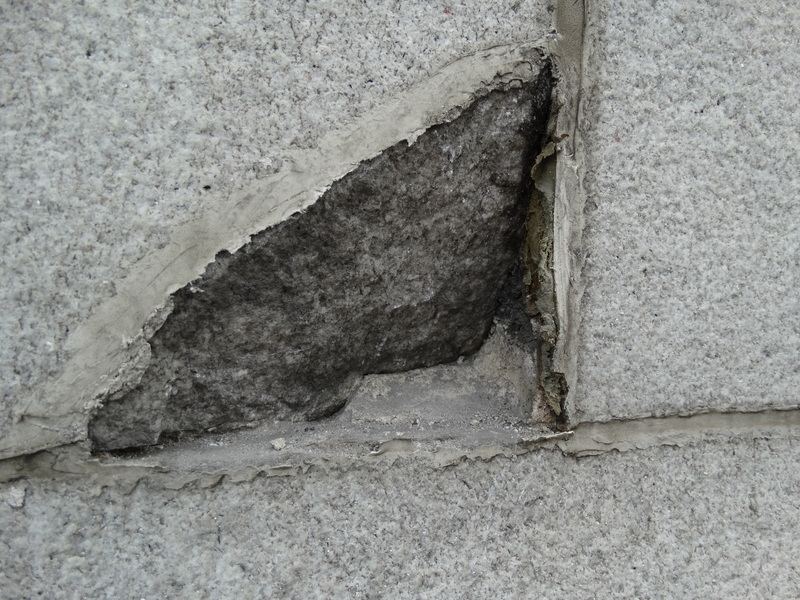 Kaese & Lynch was hired to perform an extensive conditions assessment of the building’s granite cladding and to create a master plan for a phased restoration of the building’s facades. 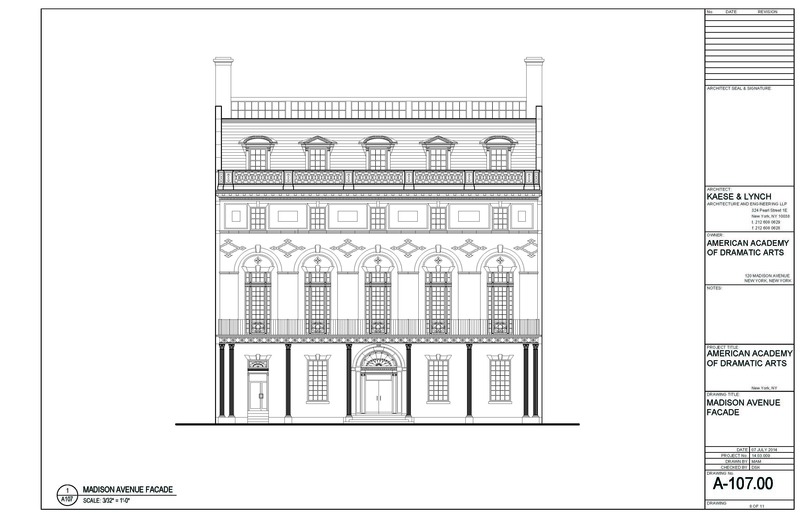 Fortunately, the current owner was in possession of most of the original drawings of the Art Deco building designed by architect John Torrey Windrim, though naturally two of the the most important for our purposes, the primary elevation and rear elevation drawings, were missing. 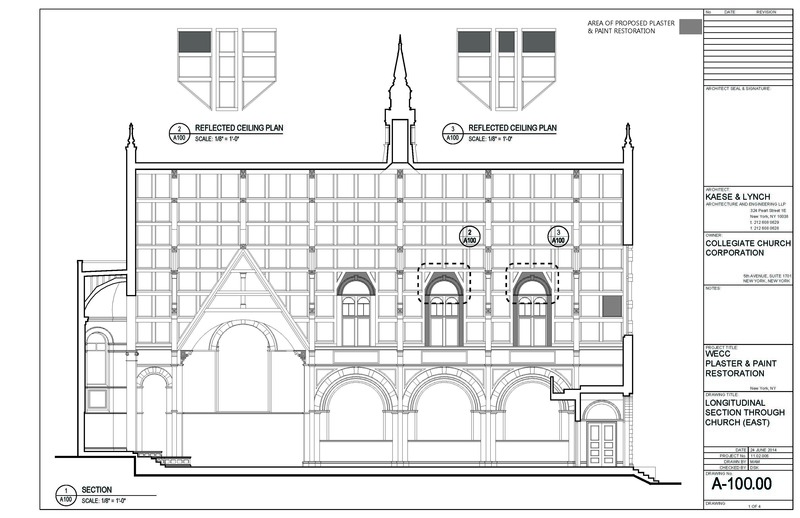 Thus, I was tasked with the re-creation of these facade drawings, a painstaking process which required me to work simultaneously with google maps, the original floor plans, and the side elevation drawings to piece together both of the missing facades. While piecing together the two missing facade drawings we also had to do several on site investigations of the facade which required access to the rooftops of several surrounding buildings. Binoculars were required to assess much of the facades’ conditions, though in several areas on the primary facade Diane was harnessed and had the scale the facade of the building to determine conditions and their causes close up. 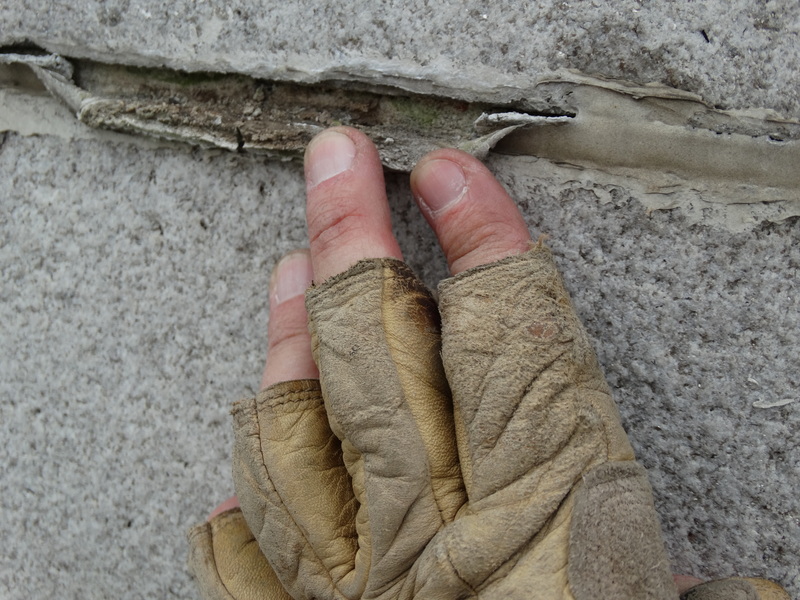 Unsurprisingly many more condition problems were found while scaling the facade which had not been visible via binoculars. One of the more interesting projects for me, as I had never realized this type of work fell into the realm of the architect, was the design and installation of replacement shutters for the historic Veatch House, today part of the Shelter Rock Unitarian Church, in Manhasset, New York. 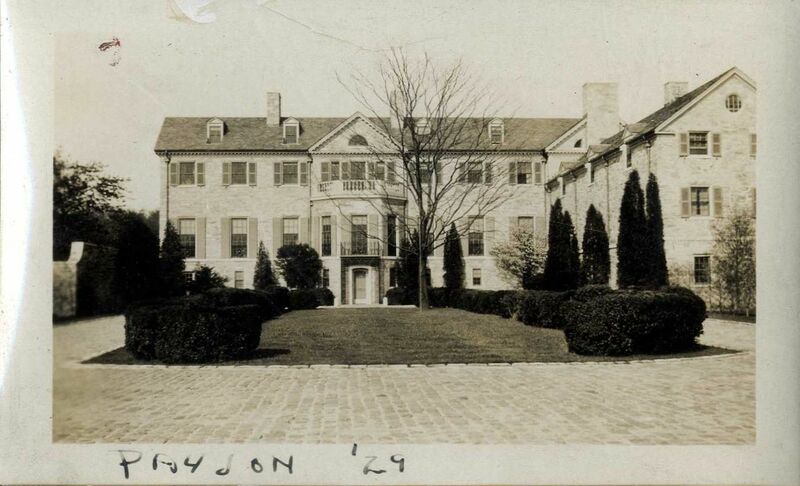 This country estate was originally designed for Charles S. Payson, a wealthy businessman and Lawyer, and his wife Joan Whitney Payson, who founded and was a majority owner of the New York Mets baseball team, by the renowned New York architectural firm of Delano and Aldrich between 1927-1928. 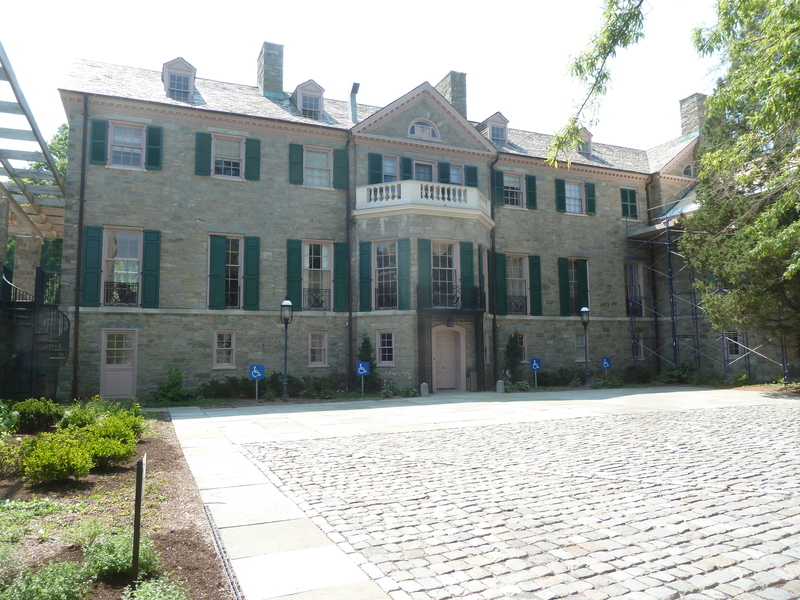 The home was donated to the congregation in the will of a wealthy parishioner and now serves as a community center for the Unitarian church complex. Over the Years the original shutters had been replaced with contemporary plastic shutters and during the previous summer the congregation felt it was time to restore the exterior appearance of the house to its glory days in the 1920s which included replicating its original shutters. 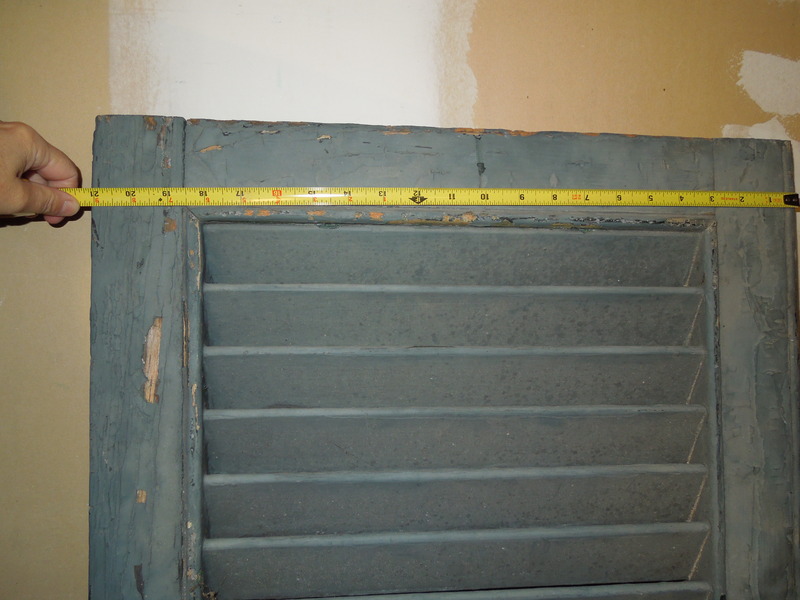 Using period photographs, one existing period shutter that had been stored in the basement of the Veatch House, and after conducting a historic paint analysis Michael Lynch was able to design both paneled and louvered shutters that were an extremely close match to what was believed to have been on the home originally. In addition to the shutters themselves, Michael Lynch also designed new hardware for each shutter type based on designs known to have been popular during the period and found on other country homes designed by Delano and Aldrich. 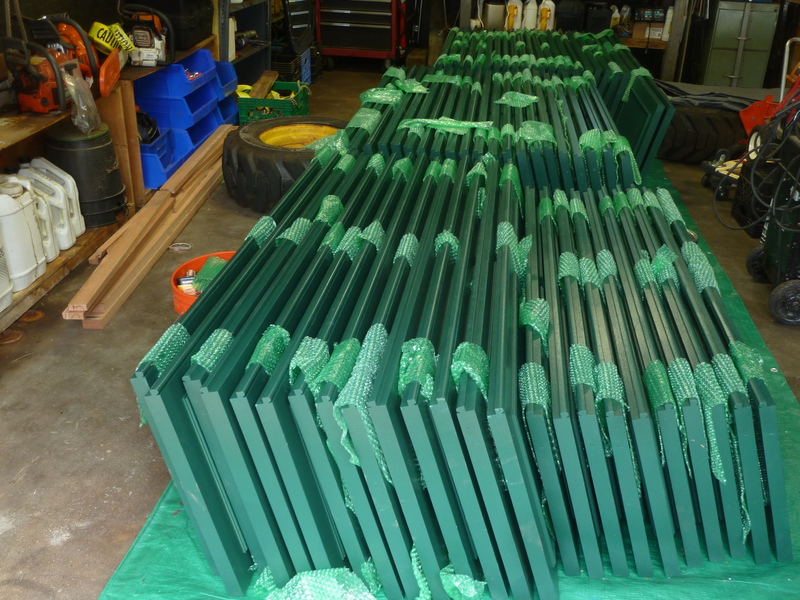 Fabrication of both the shutters and their associated hardware took about a year and were ready for installation this summer. 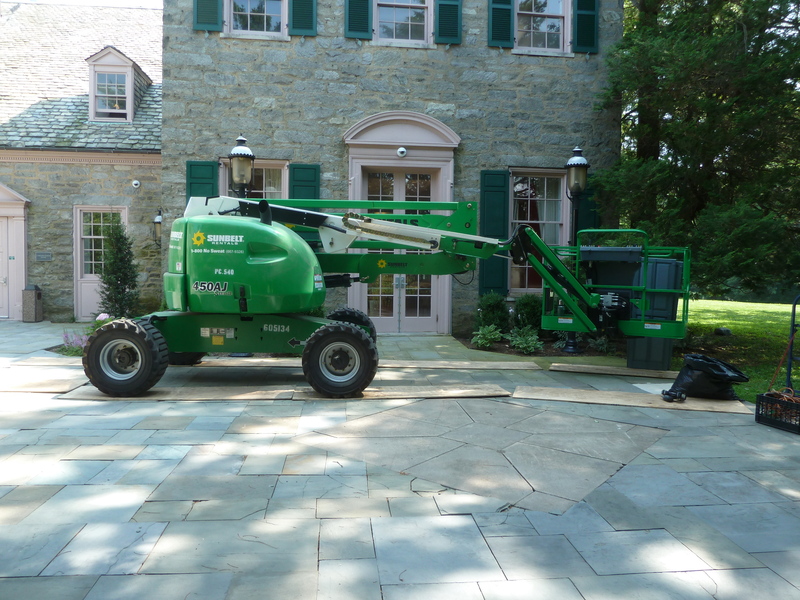 We supervised the delivery, storage, and installation of the shutters and hardware onto the Veatch House. One of my culminating projects at Kaese & Lynch was with the American Academy of Dramatic Arts for which the firm was hired to prepare a Master Plan for both an interior and exterior restoration. 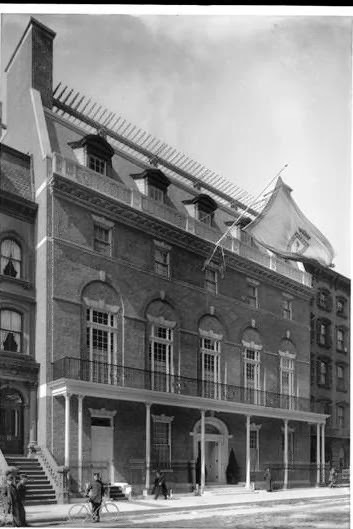 The Colonial Revival building designed in 1906 for the Colony Club, the first Club for women, was the last work of architect Stanford White of McKim, Mead, and White before his murder that same year. Kaese & Lynch decided to subcontract the master plan to other architecture firms, such as Li/Saltzmann, and thus we only prepared as built floor plans and elevation drawings for these firms. It was a relaxing end to a very busy summer with Kaese & Lynch but I was sad to see an end to one of the best professional experiences I have ever had!